Note: Only one RLM Windows Service can run on a License Server. If you have multiple products that use the RLM License Manager, please click here for additional instructions. GAUSS/GAUSS Engine v17 and above includes an RLM Management utility that calls rlmservice.exe. This utility can be used to create, delete and start a Windows Service and set certain User-defined parameters. Open the Windows Explorer File Manager. Webserver Port: The web server port specifies the default port (5054) that RLM uses unless the user wants to specify a different port. Disable Admin Web Server Port: Instructs the RLM Server to not start the embedded webserver. Disable UDP Broadcast Port: Tells the RLM to not bind the UDP port (5053) used for reply to broadcast messages from clients in RLM v10.0 and later. Stop RLM: Press this option BEFORE you Start your Windows Service on the Manage Service Tab. Start RLM: Press this option AFTER you Start your Windows Service on the Manage Service Tab. Service Name: This is a user-defined short name of the Service. It can be something like rlm or gsrlm. Service Display Name (Friendly): This is a user-defined friendly name of the Service. 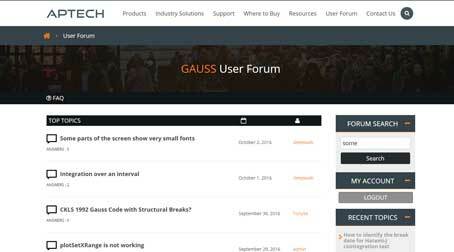 It can be something like GAUSS 19 License Service or GAUSS License Service. ISV Startup Delay (seconds): This delays reading the license file for X seconds. Open Services: Opens the Windows services.msc file Window. It allows you to view all available Services on your machine. Delete Service: Deletes previous rlm Services of earlier versions or other products that utilize RLM for their License Manager. Install Service: Installs the new Windows Service for the latest version of GAUSS/GAUSS Engine. Stop all rlm processes that are running. This can be done in the Windows Task Manager by selecting Show processes from all users. On the Services Window, identify any rlm Services currently set up. If you expand the Name heading on the Services Window, you can see the Short name of the Windows Service at the end of the Friendly name. On the Manage Service Tab, complete the Service Name field with the Windows Service Short name (e.g., rlm). Press the Delete Service Button. Repeat for any other rlm Windows Services remaining. When all previous rlm Windows Services have been deleted, complete the fields listed on the Manage Services Tab for the new permanent Windows Service. Press the Install Service Button. Locate the GAUSS 19 License Service (or whatever you called it) on the Services Window. Press the Start RLM Button. Close the RLM Management and the Service Windows. Start up GAUSS/GAUSS Engine from either your desktop icon or command line. a. Basic Setup: Includes the minimum required options. The service_name "gsrlm" and display_name "GAUSS 19 License Service" can be anything you would like to call them. You can add -nows if you do not want to enable the web server for example. c. Service for a Specific User: If the service is going to running under a specific user you can supply the -user and -password arguments. Open services.msc. You can access Windows Services through the Windows Start Menu by searching on services.msc or Services. Right-click on the Services menu icon and select Run as Administrator. c. The web server interface is only available after RLM has been started as indicated above under Start the rlm. b. Select INSTALL Service and enter a new, different name than the existing service such as rlm_gauss16. Make sure the path points to the folder where you have installed GAUSS 16 and the RLM executable. d. Click Continue, then you can close the browser window. a. Bring up the Windows Control Panel and select Administrative Tools -> Services. b. Look for the new service you just installed (the list can be alphabetized by name by clicking on the Name heading if needed) and select it. It is called rlm. c. You should now see an option on the left to Start the service. Look in the column Status; it should now say Started. Under Startup Type it should say Automatic. If it does not, right mouse click the service and select Properties. You can change the startup type to Automatic on the General tab. d. Bring up the web server interface and REMOVE the old service from the same screen where you installed the new service, editing the service name and paths to reflect the old service. e. If you wish to keep the old service for some reason, you will need to go into Administrative Tools -> Services and set only one of the RLM services to start automatically; the other will need to be set to manual to avoid conflicts with the two services. Stop the Reprise license manager (rlm.exe) in your Task Manager. Go to your Start menu or Accessories folder and locate the Command Prompt icon. Right click the Command Prompt icon with your mouse and select Run as Administrator. Start GAUSS from the desktop icon. RLM License Administration Guide v11.2: More detailed information on the license manager used in GAUSS 11-16. RLM v12.1 License Administration Manual: More detailed information on the license manager used in GAUSS 17-18.